Stevens, M.M.J. (2012, January). 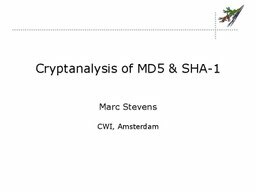 Cryptanalysis of MD5 and SHA-1.